Municipality of Ljubljana has decided to sell a plot of land on which currently hostel Celica stands. This decision represents a radical shift in its relation towards the entire Metelkova area. This move introduces an authoritarian element into the relationship between the municipality and Autonomous Cultural Centre Metelkova mesto, an internationally renowned example of successful cultural, urbanistic and social practice, while truth be told the said relationship has never been a simple one. The latest intentions of the municipality however oblige us, the users of ACC Metelkova mesto, to publicly and unequivocally make our position clear: Capital and Municipality – take your hands off Metelkova! We recognize in this attempt to fragment and sell the area of Metelkova a symptom of a wider problem of an intentional transformation of the city centre according to the tastes of tourist and real-estate capital. Ljubljana is currently in a period of transition to a second phase of gentrification that coincides nicely with a new investment cycle in the country that has began to pick up speed, which was itself ultimately enabled by taxpayers’ funded bail out of the banks. The profits derived from this process will in turn end up in private pockets. Inner city centre of Ljubljana is now reduced to polished scenery for tourist consumption, local bars without local people and endless array of (small) hotels and AirBnB businesses. By now construction sites, themselves a material expression of the blind desire to “beautify”, have moved to Tabor neighbourhood and touched the very doorstep of Metelkova. As a part of this process more than a year ago the municipality attacked the Autonomous factory Rog, first by private security contractors and heavy construction machinery and later through still ongoing court procedures against the people involved in the activities of the factory. ACC Metelkova mesta has been however dealt with differently throughout its 24 years of existence. On the one hand, the state never really gave up on visits of various inspection officials and police harrasment as its go-to forms of pressure. On the other hand a policy of recuperation has emerged through which the municipality promotes Metelkova as a tourist product par excellence, leaning heavily on its “alternative image” and quality forms of sociality that are being developed in its midst. Recuperation happens under the false pretense of support and tolerance while the visions of the very people that are creating Metelkova on a daily basis are brushed aside. The fact that the municipality had integrated Metelkova into the Ljubljana brand was misinterpreted by many as a discrete statement of intent that we should no longer fear any hostile moves on its part. Today, with the declaration of the beginning of parcellation and subsequent sale of Metelkova it finally became clearly evident that such interpretations do not stand up to scrutiny. It has been many years since corrosive effects of commercial activity on the edges of the autonomous area gave birth to the to the same appetites that are now fueling the current sale to the highest bidder. If we are to realistically assess the situation, which we are obliged to, we have to conclude that it was in fact Celica ho(s)tel through its specific trajectory and its relation to autonomy in Metelkova the decisive contributor to the very process that has now reached a point where the same people that presided over Celica are now at risk to be pushed out in the name of even higher profit. Let’s be absolutely sincere: Celica grew out of the fertile soil of Metelkova’s creativity. It was built by enthusiasm, ideas and labour of Metelkova artists and architects. Yet, before the ho(s)tel was even fully established the paths separated. In unclear circumstances the management of the building was given to the partnership of corruptive capital of Student organization of University of Ljubljana and the municipality. Ever since Celica functioned as a profit making venture and a gentrifying force of the entire city, not only of Metelkova. It was due to the apparent and always uneasy acommodation with the community and space of the autonomous centre and to the fact that it was just next door from the latter that Celica managed to break into many tourist guidebooks from around the world as Ljubljana’s main attraction. In the past tourists might feel intimidated just by venturing through the gates of the autonomous space, but today growing masses roll through it every day, photographing the individual natives at their work and thus creating a certain discomfort. Despite the fact that Celica was to a large extent created by people that justifiably claim an intimate connection with Metelkova, its current goals, mode of production and values are very different from those of the ACC Metelkova mesto. ACC Metelkova mesto regards the announced sale of the plot of Metelkova’s land as the beginning of the hostile takeover of the entire area including of the spaces and activities of the autonomous cultural centre. We have nothing in common with the battle between the current and possible future manager of Celica. As far as we are concerned the municipality is opening wide open the gates of destruction of the autonomous centre, since there can be no doubt that the investors’ apettite will not be satisfied with one building and one plot of land only. To the municipal authorities the sale of Celica will serve as a model for eviction for all the other buildings in Metelkova which are also owned by the municipality. The ongoing sale of Celica can serve as a lesson from which we can learn that processes by which the autonomy of Metelkova is being undermined find support also among those that otherwise situate themselves within a wide field of Metelkova, despite their entirely truthful claims about their clean intentions and motivation. Yet, few moves down the line one of the most significant social and cultural centres in the region, which is a source of pride and pleasure for countless musicians, cultural workers, supporters, critical voices, artists, alternative crowd and even travelers, will be destroyed. This can happen much faster than many are able to even imagine. Despite the many levels and factors involved the underlining truth is very simple: by parcellation and sale of Metelkova the municipality of Ljubljana is giving up on the principles of public, communal and socially-owned space, replacing it with the rule of terror of the private property owners and their security contractors. We cannot, we must not and we will not let this happen. Not in Metelkova, not in Rog, not in Tabor neighbourhood and not in the city in general. We demand therefore that the premises of Celica are given back to the community, back into the hands of thos that many years ago have successfully defended it against destructive lust of those who then were in power, back into the hands of those that have continuously proved through many years of work that they are guided by longterm interests of the community and not by shortsighted profit-making agenda. Mestna občina Ljubljana (MOL) se je odločila za prodajo zemljišča, na katerem trenutno stoji Hostel Celica. S tem so se odločili tudi za radikalno spremembo svojega razmerja do celotnega območja Metelkove. Ta poteza v sicer nikoli enostavno razmerje med MOL in AKC Metelkova mesto – slednji je svetovno priznan kulturni, urbanistični in socialni primer dobre prakse – vnaša oblastniški diktat. Zadnje namere MOL uporabnike in uporabnice AKC Metelkova mesto obvezujejo, da javno in jasno sporočimo: kapital in MOL, roke stran od Metelkove! Poskus razbijanja in odprodaje območja Metelkove je zgolj simptom širšega problema načrtnega preurejanja mestnega središča po okusu turističnega in nepremičninskega kapitala. Ljubljana je trenutno sredi prehoda v drugo fazo gentrifikacije mesta. Ta sovpada z razmahom novega investicijskega cikla v državi, ki ga je omogočilo reševanje bank z denarjem davkoplačevalcev, profiti tega procesa pa bodo romali v zasebne žepe. Gradbišča so se iz ožjega središča mesta, kjer so ostale le še zloščene kulise za turiste, lokali brez lokalcev ter nepregledna goščava hotel(čk)ov in AirBnB obratov, premaknila v sosesko Tabor in se s slepo željo po »olepšavi« dotaknila tudi Metelkove. MOL se je lani v sklopu tega procesa spravil nad Avtonomno tovarno Rog, najprej z varnostniki in gradbeno mehanizacijo, nato pa tudi s sodnimi procesi proti tamkajšnjim uporabnikom in uporabnicam, ki še vedno trajajo. Avtonomne kulturne cone Metelkova mesto se lokalne oblasti skozi vseh 24 let njenega obstoja lotevajo drugače. Na eni strani se država pritisku v obliki inšpekcij in policijskih napadov nikoli ni zares odpovedala. Na drugi strani pa že dolgo poteka lokalna politika rekuperacije, ki je pod pretvezo podpore in tolerance Metelkovo zaradi njene “alter podobe” in kvalitetnih oblik družbenosti, ki jih razvija, promovirala kot turistični produkt par excellence, pri čemer vizije uporabnikov in uporabnic niso imele prav nobene veljave. Mnogi so dejstvo, da je MOL Metelkovo vgradil v blagovno znamko Ljubljana, napačno razumeli kot diskretno napoved, da se od MOL ne rabimo več bati sovražnih potez. Danes je z napovedanim drobljenjem in začetkom odprodaje Metelkove dokončno postalo jasno, da zadeva ni takšna. Zajedanje komercialne dejavnosti na obronke avtonomnega prostora je že pred leti ustvarilo apetite, ki poganjajo današnjo prodajo najboljšemu ponudniku. Z vso treznostjo moramo ugotoviti, da je ravno Celica s svojo specifično trajektorijo in odnosom do avtonomije na Metelkovi tisti dejavnik, ki je odločilno prispeval k procesu, spričo katerega njenim ustvarjalcem sedaj grozi, da bodo v imenu še višjega profita izrinjeni. Iskreno zato priznajmo: Hostel Celica je dejansko zrasel iz bogatih metelkovskih kreativnih tal, s svojim entuziazmom, idejami in delom so jo zgradili Metelkovke in Metelkovci. 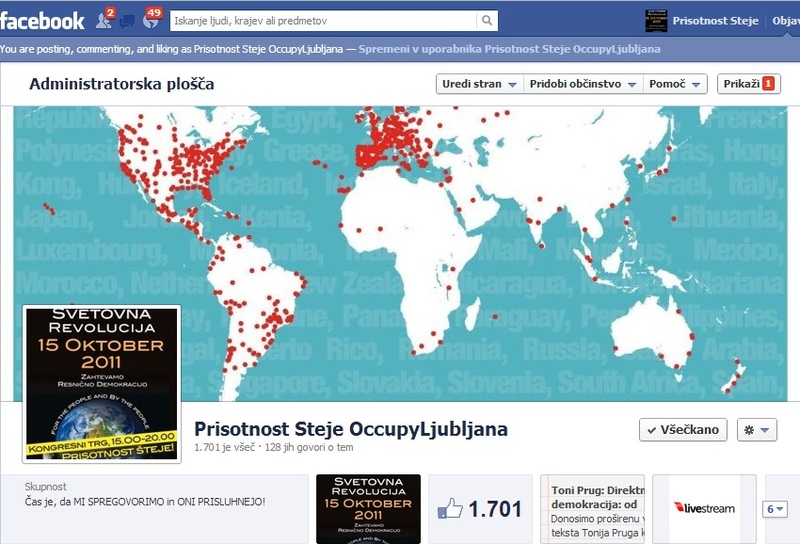 Toda že pred vzpostavitvijo hostla so se poti razšle, stavba je bila v nejasnih okoliščinah predana v upravljanje koruptivnega kapitala Študentske organizacije Univerze v Ljubljani – v navezi z MOL – in vse odtlej je Celica delovala kot profitni obrat in agent gentrifikacije mesta, ne samo Metelkove. Na račun navidezne in vedno nelagodne akomodacije s skupnostjo in prostorom AKC Metelkova mesto ter na račun sosedstva se je hostel vpisal v svetovne turistične vodnike kot ključna ljubljanska atrakcija. Vse večje trume turistov, ki si še pred nekaj leti niso upale niti pokukati čez prag avtonomne cone, se zdaj dnevno valijo čeznjo in množično fotografirajo primerke domačinov med njihovim vsakodnevnim ustvarjanjem ter vnašajo nemir v skupnost. Četudi so jo v mnogočem naredili ljudje, ki so (bili) Metelkovci, je današnja Celica po cilju, načinu delovanja in vrednotah daleč od AKC Metelkova mesto. AKC Metelkova mesto razume napovedano prodajo kosa zemljišča na Metelkovi kot začetek sovražnega prevzema celotnega območja, vključno s prostori in dejavnostmi avtonomnega kulturnega centra. Nič skupnega nimamo z bitko med obstoječim upravljavcem in morebitnim bodočim. Kar se nas tiče, MOL z velikim zamahom odpira vrata uničenju avtonomnega centra, saj se investitorski apetiti zagotovo ne bodo končali pri eni zgradbi in eni parceli. Prodaja Celice bo kot model evikcije mestnim oblastem prišel nadvse prav tudi pri vseh drugih zgradbah na Metelkovi, ki jih ima prav tako v lasti MOL. 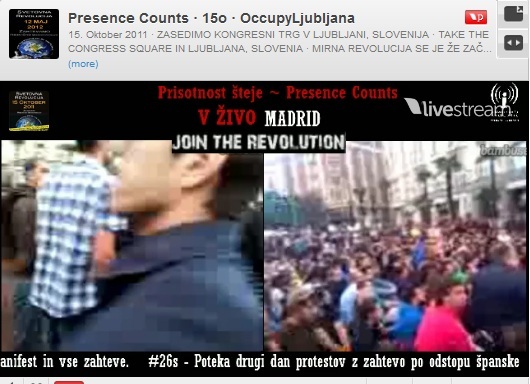 V tej luči se iz poskusa prodaje zemljišča Celice lahko naučimo tudi to, da imajo lahko preko svoje prakse ne glede na izpričane namene in motivacije podporno vlogo v procesih spodkopavanja metelkovske avtonomije tudi tisti, ki se sicer umeščajo znotraj njenega širokega polja. V nekaj potezah, ki se lahko zgodijo precej hitreje, kakor si to marsikdo misli, bo uničen eden najpomembnejših socialnih in kulturnih centrov v regiji, ki je v ponos in užitek nepredstavljivi množici glasbenikov, kulturnikov, somišljenikov, drugače mislečih, umetnikov, alternativcev in nenazadnje tudi popotnikov. Ne glede na vse ravni in akterje, je osnovna resnica situacije jasna: Mestna občina Ljubljana se z drobljenjem in odprodajo območja Metelkove odpoveduje principom javnega, skupnostnega in družbenega prostora ter jih nadomešča s strahovlado zasebne lastnine in njenih varnostnih služb. Tega ne moremo, ne smemo in ne nameravamo dopustiti tako na Metelkovi kot v Rogu, širše v četrti Tabor in v mestu nasploh. Zato terjamo prostore Celice nazaj v skupnostno upravljanje, nazaj v roke tistih, ki so jo pred davnimi leti obranili pred uničevalno slo tedanjih oblastnikov, nazaj v roke tistih, ki so s svojim dolgoletnim angažmajem dokazali, da jih pri delovanju vodi dolgoročen interes skupnosti, ne pa kratkoročne profitne agende.